Wood effect flexi hoops and cross stitch. | Cross Stitching Heaven. Wood effect flexi hoops and cross stitch. 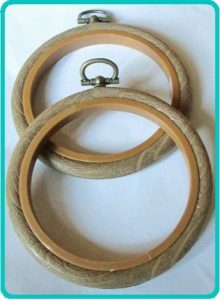 Wood effect flexi hoops are great for needlework projects and as the lovely 3″ hoops have just arrived I can’t wait to start using them. The Flexi hoops arrived on the 28th of December so I quickly unwrapped them and set about deciding what to do with them. After mulling over a few ideas I decided to make a birthday announcement gift. 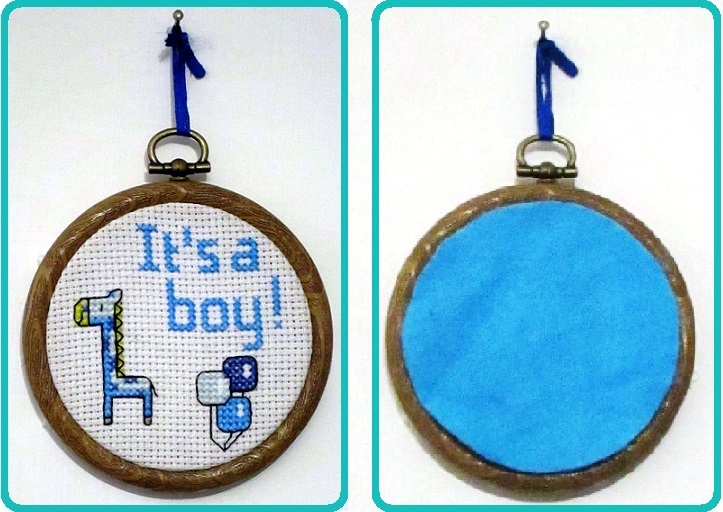 I have added a fabric to the hoops and created this simple and yet delightful birth announcement. I will try some other designs as well. These are fun and easy to work with. I love them! If you would like to try to make one of these for yourself you can purchase your hoops here.